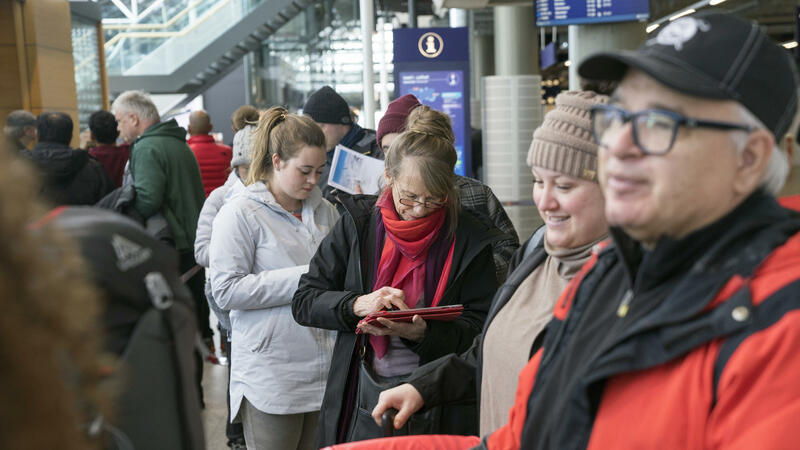 That description comes from Lindsay Branscombe, who relayed to NPR the curious scene in which Wow customers watched as the jetliner they thought would take them to Reykjavik, Iceland, instead pulled away from the gate without them. Lindsay and her husband, Matthew, own and operate BSC Photo Studio in New Haven, Conn. On Thursday night, Matthew was booked to fly from Boston to Belgium, with a stopover in Iceland, after their photography studio landed a commercial job in Europe. "Wow Air continued to tell them it was simply a 'delayed flight' until around midnight," Lindsay says, "when the gate agents and flight crew actually got on the plane that was at the gate and the PLANE LEFT THE GATE with the passengers still unsure if the flight was canceled!"